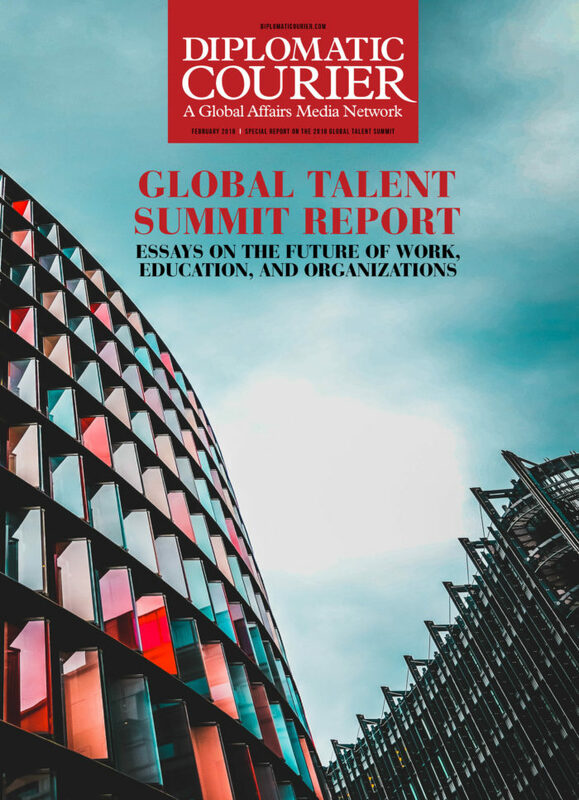 While the future of education remains ambiguous, all members of the Global Talent Summit education panel agree—current educational systems and frameworks will need to change drastically in order to prepare students for a tech-filled future. Anders Hedberg, Global leader of STEM education policy, argues that all educational institutions need to focus more heavily on STEM, as these are the skills that will be the most necessary for the future of work; conversely, Scott Hartley, author of “The Fuzzy and The Techie,” advocates for more focus on the liberal arts and how they can be used in conjunction with STEM subjects. Manu Kapur, professor of learning sciences at ETH Zurich, argues that focus on which subjects in school are most significant isn’t as important as how these subjects should be taught, while Anand Chopra-McGowan, Global Head of Consumer Practice at General Assembly, says that individualized programs are what is really necessary to fill the tech skills gap found in many workplaces. Judge a person by their questions—not their answers. With most modern educational programs advocating for learning through problem-solving, not enough emphasis is being placed on inquiry-based learning where asking questions can be just as important as searching for solutions, and can even lead to unique insights and deeper levels of learning. Nonsensical questions should be asked to students in order to stimulate a students’ creativity. In order to have students focus fully on inquiry-based thinking, asking questions such as “what if our ears were round?” has the ability to stimulate creativity and deeper levels of thinking in students as they explore theoretical answers to the question. Learning environments need to be crafted in a way that stimulates questions. Rather than creating learning environments in which teachers from a purely teaching background or experts from a strictly working background teach a subject, experts need to be partnered with experienced instructional designers to create a learning experience for students that allows experts to teach about their experience using frameworks instructional designers provide for them in order to combine the right amount of experience, discussion, creative thinking and question asking. Productive Failure allows students to ask questions in order to learn. While most emphasis is usually placed on problem-solving, aspects such as problem-posing and problem-finding are equally as important, but often less common. Indeed, it is through focus on questions that students can apply learned knowledge to new contexts, a task that ultimately builds stronger learning abilities. Young minds need to get in the habit of asking questions. Asking questions is the basis of inquiry-based learning, and it is crucial for young learners to begin nurturing this habit as early as possible in order to understand how it is the questioning of preconceived notions and prior knowledge that can create paths to new insights. Apprenticeship programs are making a resurgence in higher education. Many US higher education institutions have begun focusing on apprenticeship programs. With the pendulum of higher education swinging back towards more experience-based learning, focus on programs such as apprenticeships and internships are becoming more popular. While historically successful, apprenticeship programs do not scale well. While apprenticeships provide a powerful learning context, there are more effective ways to transfer experiential learning to students. If you can take the dynamic of knowledge gathered from the disciplinary practice of apprenticeships and design learning environments based on this concept in schools, you can provide the same sort of knowledge in a classroom environment created specifically with a learning framework in mind. A bridge needs to be created between science and liberal arts. While Techies—those in STEM fields—have traditionally steered clear of Fuzzies—those with a liberal arts background—it is absolutely crucial for the students of the future to focus on the multidisciplinary aspects of both, as this will be the only way to not only survive the future of technology, but succeed as humans in such a landscape. We have applied math—we need applied liberal arts. Much like how applied math teaches learning through the doing of math, programs that focus on applying liberal arts to real situations—such as applied philosophy or applied anthropology—should also be put into place. By placing equal emphasis on both science and the humanities, a person’s ability to navigate complicated questions in the context of STEM, such as ethics in the context of self-driving cars, will allow for the creation of innovative solutions that need to be found. Hybrid roles are in high demand. Digital product managers, for example, are extremely hard to find due to the lack of eligible candidates that have backgrounds in both liberal arts and science, as the type of person who is required needs to be someone at the nexus of technology, design and business. Technological problems need to be reframed. While many questions asked by the technology sector are actually humanities-based, there is a lack of humanities degree holders in the technology sector available to answer the question. In order to attract those with a focus in humanities, therefore, questions need to be reframed in the context of a social or human problem. While there is a plethora of factors that contribute to how the future of work will ultimately be shaped, the role of humans and technology and the potential partnership between the two will not only redefine the function of work, but the responsibility of humans as a species as well. While Andra Keay, managing director of Silicon Valley Robotics, envisions an ideal future where automation in the workplace will help humans in a variety of ways and allow humans to focus more on their interests and passions, Andrew Keen, best-selling author, fears a more dystopian future characterized by powerful monopolies on technology. Jacob Friis Sherson, director of ScienceAtHome, however, believes in a more neutral future where humans and algorithms can work together to reach new insights into human psychology. However, the question still remains: which of these futures is the most likely? The question of whether or not machines are capable of consciousness remains ambiguous. Perhaps one of the biggest dangers—and opportunities—of the future of work is the potential for artificial intelligence to eventually reach a state of consciousness. Questions regarding whether or not this will have positive or negative effects—or if it is even within the realm of possibility—however, still remain. Machine consciousness is a possibility, but it is a long way away. Andra Keay posits that while consciousness in machines may be possible in the distant future, questions regarding whether or not we would be able to recognize if a machine reached a state of consciousness, its willingness to communicate its consciousness and any potential interest it may have in dominating the human race would make it difficult to determine if true consciousness as we understand it had been achieved. Experiments in inputting emotions into algorithms may lead to machine consciousness. Sherson argues that while data scientists can input certain behaviors into algorithms that have the effect of creating emotive-like actions, it is difficult to ascertain whether or not emotionally reconfiguring algorithms could lead to consciousness. Regardless of consciousness, artificial intelligence is dangerous for the future. Andrew Keen argues that the biggest problem with artificial intelligence is its vulnerability to the winner-takes-all economy that has developed around the Internet, for example, where most of the money and activity in these technologies is being developed by a tiny group of massively wealthy companies—something that poses potential consequences such as the monopolization and radical privatization of artificial intelligence. Work in the future will be different from work today. While it is difficult to sketch the exact outline of what work will look like in the future, one thing is certain—it will be radically different from what we know today. Our work tasks will be informed by our interactions with technology. Because the world of work places such emphasis on the role of efficiency, tasks that create better efficiency will become more common in future workplaces—and with algorithms in particular being designed to be more efficient, the partnership between humans and algorithms will be crucial to working together on these tasks. Not only is the future of work uncertain, but so is today’s work landscape. Many social theorists hypothesize that work during the Paleolithic era of humans amounted to no more than a few hours a day of work, with the rest of the time spent on social pursuits. Over time, therefore, our relationship with work has continued to change, and it is therefore difficult to determine whether or not aspects such as survival, money or the pursuit of happiness and entertainment will characterize the future of work. The future of work will see an increasing difficulty in obtaining a job. With current workforces being built upon an inherent precariousness that is characterized by its dependency upon temporary, part-time jobs instead of lifelong careers, it will be a challenge for future workers to obtain jobs that provide stability and structure. While the future of organizations remains largely unpredictable, influences from technology, education and an ever-changing workforce will undoubtedly play a large role in how organizations will interact with future economies and labor markets. Carissa Carter, director of teaching and learning at Stanford University, argues that the concept of inclusion will be a critical factor to determining the future success of organizations; similarly, Iris Bohnet of Harvard Kennedy School agrees that it is the increasing inequality found throughout the world today that will be the biggest challenge for organizations moving forward. Conversely, Volker Stephan, head of human resources at ABB, debates that globalization will present the greatest opportunities and challenges for companies, and Shanthi Flynn, chief human resources officer at Adecco Group, argues that it is actually education that will continue to play the biggest role in the future of organizations. Teaching people how to learn is key to the future success of organizations. While the idea of teaching people how to learn instead of what to learn is logical in theory, figuring out the methods by which people can effectively practice learning remains a challenge, though methods such as inquiry-based learning and productive failure are helping researchers gain new insights into how we can encode knowledge more successfully in the future. Learning how to learn leads to the ability to transfer previous knowledge into new contexts. For example, when global company 3M originally hired a team of scientists to tackle the task of refining an extremely strong glue, they accidentally created a new type of glue that could stick and unstick itself—and rather than throwing away this new insight, 3M was able to apply this knowledge into a new product they decided to call “post-it notes”. It is this sort of learning through failure and applying these insights to a new context that ultimately led to the successful creation of a new product. We need to change learning environments that foster productive failure. In order to learn how to learn better, it is important for instructors to create environments in which students can experiment and learn while becoming comfortable with taking ownership of their own failures—without the repercussions of this failure reflecting on their grades. In this way, students will be more prepared to learn from their mistakes in the real world and turn this knowledge towards new insights, rather than letting these failures discourage them. Learning how to learn requires reflection. In a learning environment, it is crucial that time be set aside for reflection, questioning and pondering. Whether its listening to a lecture, reading a book or experimenting with one’s hands, it is important to continue to engage the brain afterwards in order to think about the newly acquired knowledge in the context of oneself and different situations. Learning agility can be learned. While traditionally viewed as a personality trait, modern research reveals that learning agility is a behavior that can be practiced and mastered by everyone. It is the responsibility of companies, therefore, to assess their employees’ learning agility in order to cater different skills programs to the needs of each individual employee. The gig economy will greatly affect all organizations. With the advent of the gig economy—which is the concept of labor markets based on freelancing and short-term contracts—organizations will have to change not only their relationship with their employees, but also the way in which these tasks will be accomplished, either by humans or automations. Many industries have been employing gig-like practices for decades. In the traditional retail economy, for example, most organizations tend to have predictable business cycles with peak seasons that cause the number of employees needed at any given time to fluctuate dramatically. Therefore, the decades-long practice of hiring temporary employees during peak season demonstrates one way businesses have been dealing with short-term contract employees for years. Freelancing is on the rise. While freelance work has always existed, recent technological and digital developments have created a drastic rise in the volume of these workers throughout the world, and the gig economy has created a system in which rather than having one long-term career, workers who turn to freelance now need to work several short-term contracts to make a living—and while this form of work provides less stability, it also has the added benefit of allowing freelancers to use their skillset in different and innovative ways. There is often an implicit class system between full-time workers and freelancers. With the labor market’s move towards a gig economy, companies are beginning to have to employ both full-time and freelance workers to fill their needs—and sometimes, mistreatment of freelancers can occur and toxic work environments can develop consequently. It is in the best interest of an organization, therefore, to treat all workers with respect and foster an inclusive environment in order to inspire a healthy team environment that creates productivity and efficiency. The future of work and organizations will be determined by our actions. Ultimately, it is the humans in charge of organizations that will be able to influence the future of organizations, and it is therefore important to start making changes today that can benefit both organizations and their employees in the future. The future of organizations will be global. With the Technological Revolution well under way, current and emerging technologies will enable companies to become even more global and digital in the coming years. Competency and merit should be the basis for hiring job candidates. With educational qualifications becoming more centered on brand name than actual skill level, it is crucial that organizations find other ways to assess competency and actual skill level in job candidates in order to ensure that those with merit can succeed in the job they apply for. Inclusion is a huge opportunity for the future of organizations. In addition to advocating for inclusion to expand the talent pool within organizations, it is also important for organizations to promote technologies that are inclusive so that people from all walks of life can use this technology to arrive at new insights and innovations in the workplace. To read or download all the articles from this print edition, download our free app on your favorite device (iStore, Google Play, and Amazon Kindle).